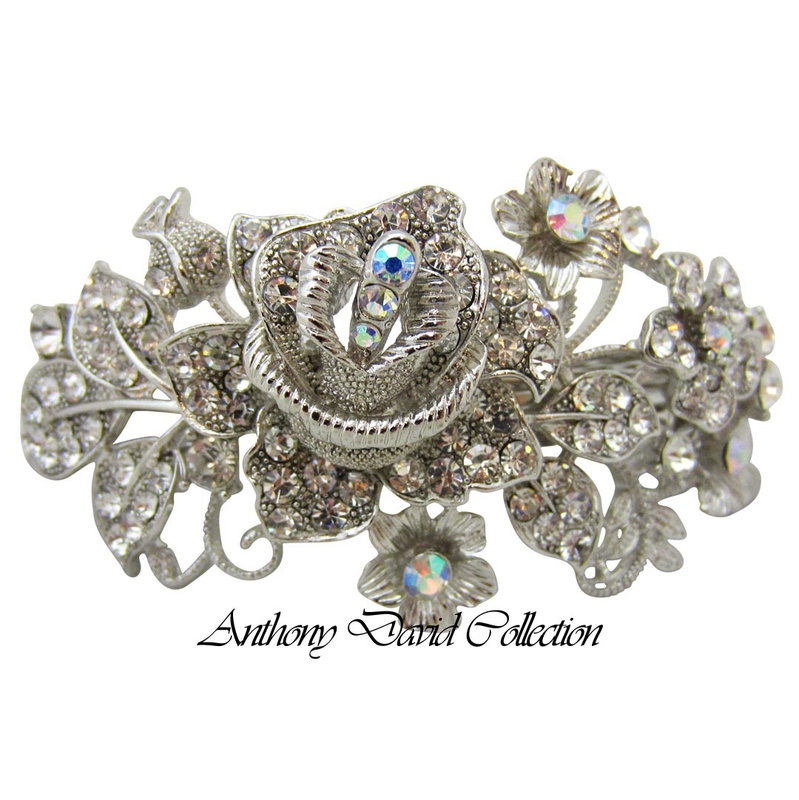 This exquisite Anthony David solid metal hair barrette clip has an intricate rose design that is meticulously embellished with Swarovski crystals. 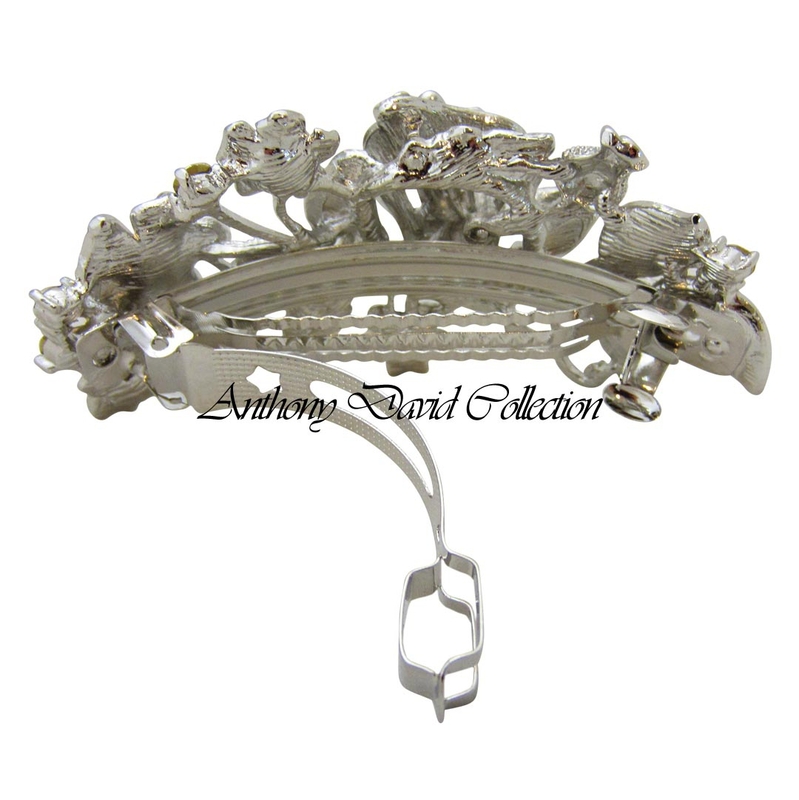 This crystal hair clip is perfectly versatile for any formal or casual event as it adds a brilliant sparkle to any attire. 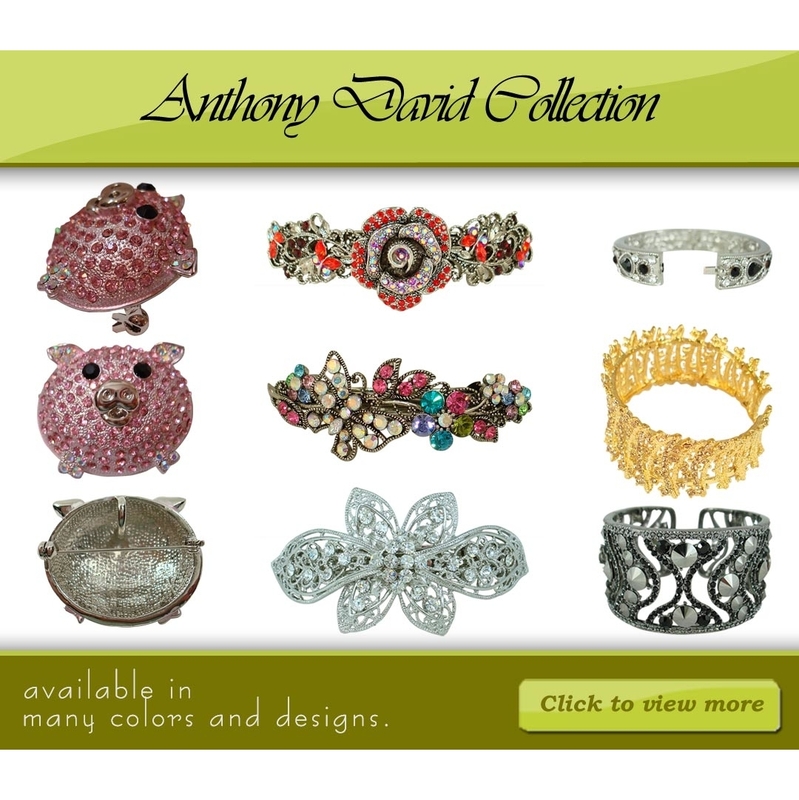 If you love our hair accessories, then you are going to simply adore our hand selected collection of unique Swarovski embellished crystal bracelets. Covered with clear and AB Swarovski crystals. Solid brass frame with a silver plated finish. 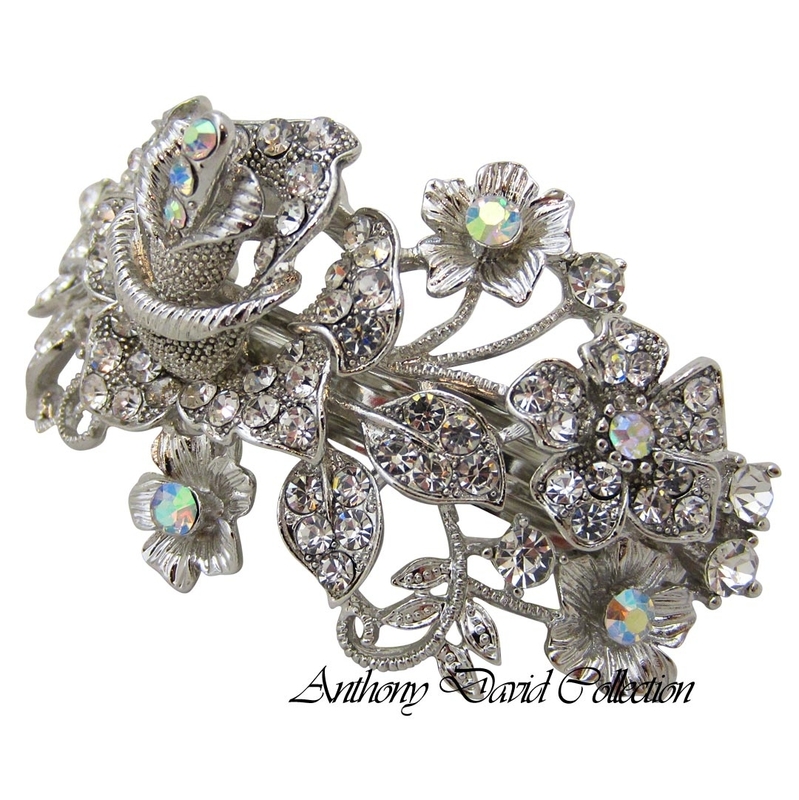 This Rose hair clip comes in other colors.